Leo Vegas Golden Ball Roulette 10k Giveaway - Win up to £3,000. 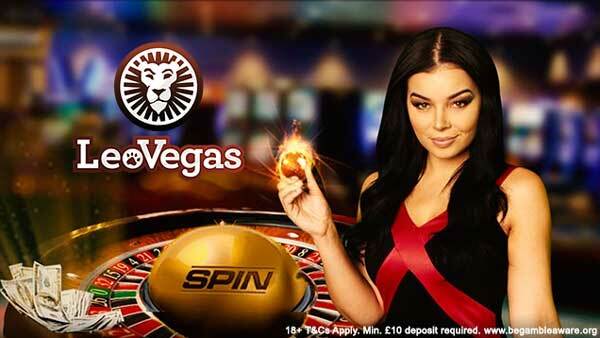 Leo Vegas is really pushing the boat out this month with Live Casino promotions. The latest is a £10k Giveaway on Golden Ball Roulette, which is Extreme Live Gaming flagship roulette product. The promotion is exclusive to Leo Vegas, you won’t see it anywhere else, so you’re not competing with 1000’s of other people for the prizes. It runs from the 7th August until 13th August 2017. There’s 50 cash prizes up for grabs and all you have to do is play Roulette at the Golden Ball Table. For every £10 you wager you’ll get one point for the leaderboard. If you’re a Golden Ball winner you’ll get an extra 10 points. Just click on the link to take part in the Leo Vegas Golden Ball Giveaway.